The Mount McKinleys were completed in 1944. They were Maritime Commission C2-S-AJ1 hulls converted to amphibious command ships. Though intended primarily as command centers, they carried a small number of troops and were equipped with 2 LCVP, 4 LCPL, 2 LCPR and 2 LCC. 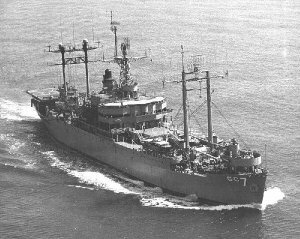 The ships proved so useful that they were still being modernized as late as 1963.